Newly renovated Joint Base San Antonio-Randolph dining facility named Wingman Café reopens to greatly improve the lives of Airmen and their families through updated facilities and expanded food selections. 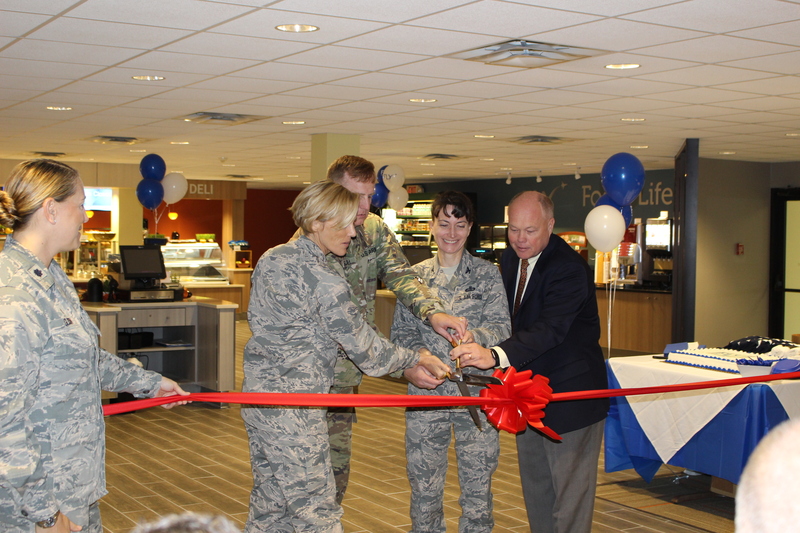 GAITHERSBURG, Md., November 4, 2016 /3BL Media/ - Sodexo, a world leader in Quality of Life Services, has reopened the dining facility on Joint Base San Antonio-Randolph Air Force Base with a brand new look, greatly expanded food options, and a name change: Wingman Café. Wingman Café, formerly known as the Rendezvous Inn, was closed for 15 months beginning in June of 2015 for renovations as a result of the Food Transformation Initiative, an Air Force-wide program designed to improve food options for Airmen by increasing food availability, nutritional content, quality and variety. The new café means that Airmen and their families will have a wide variety of healthy, delicious meals in a more pleasant setting, boosting the quality of life on base. Prior to its closure, only Airmen were permitted to dine in the facility. Now the dining facility is open to everyone who has base access, including families and retirees. Additionally, patrons will have access to an expanded menu, including Peking Plate, UFood, pizza bar, deli, fruit smoothies, and a “Simply-to-Go” section. The grand opening took place on October 11 and served more than 630 diners, complete with ribbon-cutting ceremony, special events and giveaways. With more than 40 years of experience working municipal, state, federal and military clients, Sodexo's Government segment and its nearly 3,000 employees improve the Quality of Life for the people it serves at 150 military and U.S. Federal Government locations in 26 states. Headquartered in the Washington, D.C. metropolitan area, Sodexo provides a variety of integrated food and facilities management solutions and is the nation's largest federal foodservice contractor – serving 45.6 million meals annually with a focus on wellness and nutrition.